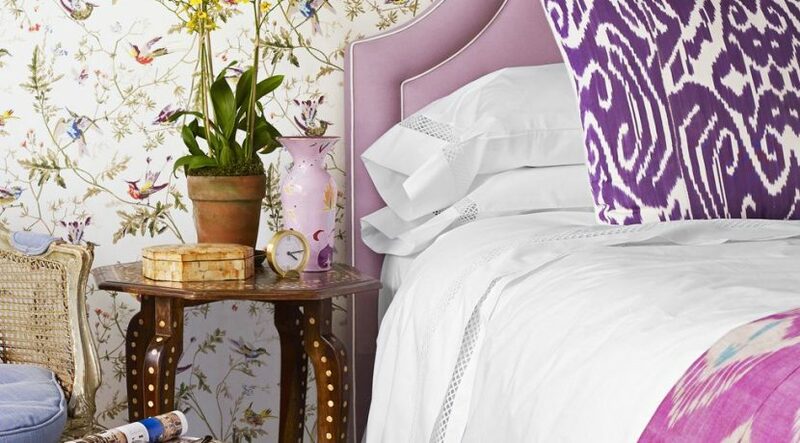 We’ll be the first to admit that waking up early and leaving a cozy bed isn’t always enticing. But creating a bedroom that’s energizing and mood-boosting can make it a whole lot easier. And since colors and light affect our mood, there’s a strong case for a colorful bedroom. While we often think of bright whites and crisp, light hues when trying to open up a smaller space, there’s also a strong case for going darker. In fact, inkier tones are known to amplify smaller spaces, especially those with little natural light. Not to mention, it sets the right mood in the bedroom. To keep it from feeling too dark, opt for lighter bedding and modern light fixtures. It also helps to bring the outdoors in with plenty of greenery and nature-inspired finishes. The light blue bed hanging will make the room feel open and airy and a color scheme reminiscent of a beach getaway. If you want to keep color from overpowering your space or you simply want to give your room a little more shape, color blocking is your solution. There are plenty of ways to play with this design trend, from more subtle and simple toning treatments to full on murals. Not all bedroom paint colors need to steal the spotlight. In fact, sometimes neutral hues give the space a more timeless and open feel while also allowing other design highlights to stand out more. There’s no doubt that yellow represents cheer, so if you want to spread warmth and energy, this is the color for you. You’ll love how the bright striped ceiling brings in a more playful element to the more traditional guest room set up. If you choose a whimsical multi-colored wallpaper to anchor the bedroom, you’ll be able to pull out various colors and reflect them throughout the space. 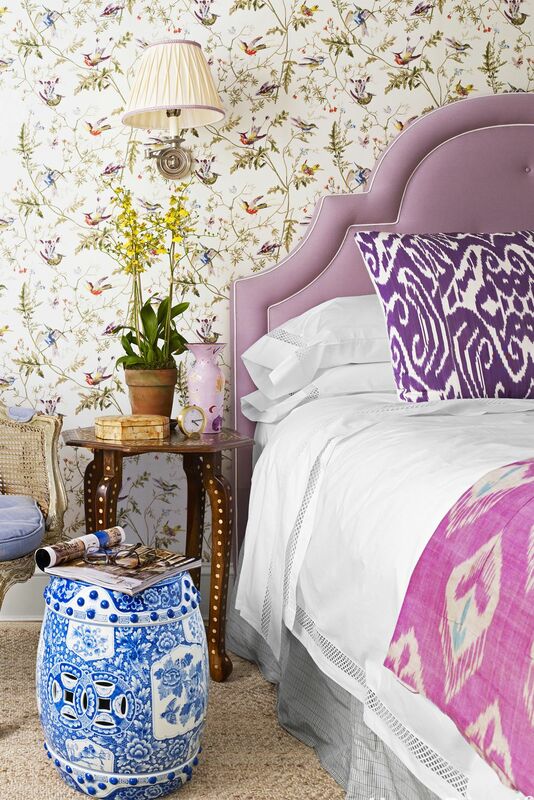 You could add fresh flowers—or you could go all out with floral wallpaper (or both). Now you’ll have blooms no matter what season it is. It’s always a good idea to consult the color wheel at every step of the decorating process. Knowing which colors complement one another will make everything easier, from ideating to shopping, and, of course, living within the final result.